Join us and hundreds of your newest friends for an inspiring experience that celebrates imagination, creativity, and community. 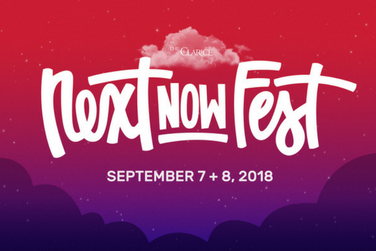 By amplifying the voices of intriguing, inventive artists from around campus and the country, NextNOW Fest creates a forward-looking microcosm where art transforms and shapes our future — and you are at the heart of it all. NextNOW Fest is an arts festival for Terps, by Terps that is free and open to students, faculty, staff and our local community members. Co-curated with student groups and campus departments, NextNOW Fest creates an unexpected festival experience at the creative hub of the performing arts at the University of Maryland.